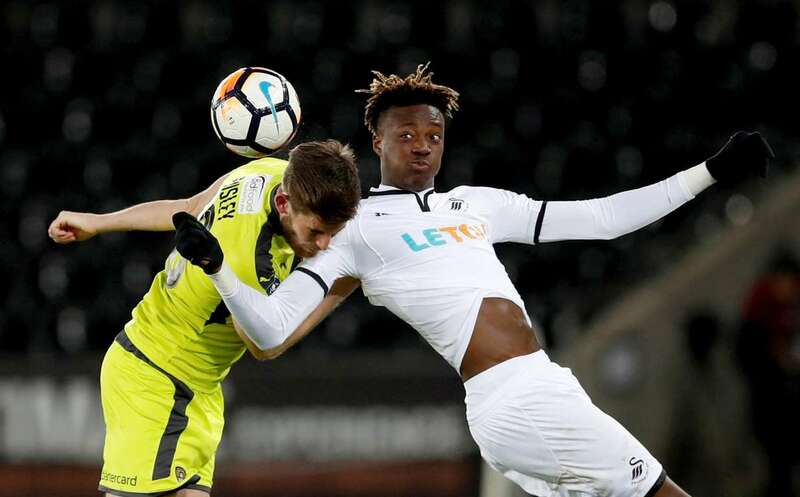 Swansea City's Tammy Abraham in action with Notts County's Shaun Brisley on Tuesday in Swansea, England. Swansea City won 8-1. Photos - U.S. Daily News: Let me go!